We read a LOT of books and of course I try to sneak in math and science whenever I can. Here are some of the math extras that we’ve enjoyed over the years. Sir Cumference and the First Round Table by Cindy Neuschwander and Wayne Geehan. There is actually a whole series of books about Sir Cumference that teach kids geometry in a King Arthur story. They’re cute stories and help kids remember the geometry. My boys enjoyed these and we own 3 of them and borrowed others from the library. The book description says ages 8-12. The Number Devil, a Mathematical Adventure by Hans Magnus Enzensberger is another fun math read. Its a lot bigger, looks like a regular paperback book but the font is large and there are pictures on almost every page. This is a fun book about a boy who dreams about the Number Devil, who teaches him new tricks with numbers every night. This was a popular book in our homeschool group a few years ago. Now that I’m thinking about it, I’m not sure my younger son ever read it, he was too young at the time… time to put it in his pile of books! Book description says ages 10 and up. Its Alive! by Asa Kleiman & David Washington with Mary Ford Washington. I have an older version of this book, but its quite fun. Its kind of like Horrible History for math, the problems are gross and disgusting most of the time, perfect for young kids. For example, one problem states that 2/3 of skin scales are contaminated with large colonies of bacteria. If a cook scratches so many skin scales into the soup, how many large colonies of bacteria are now in the soup? ewwwww! There was also one about how fast the mite living on your eye lash can walk, how long does it take it to walk across your eye lid. Not really the kind of thing you want to think about, but the boys enjoyed these problems. Grades 4-8. Mathemagic – Childcraft. This book is the one that taught ME math. I had a set of Childcraft books when I was a kid and I read them over and over, but this one was my favorite. So many cool tricks. When I started homeschooling I bought a set of Childcraft books off eBay in hopes my kids would enjoy them as I did. Unfortunately they never really hit it off, but I think its a great book. You can probably find a copy in your library’s reference section. I’d say its useful for any kid who can read. The Usborne Illustrated Dictionary of Math is a handy book for looking up math terms, formulas for area and volume, names of geometry shapes, etc. I’ve gone to it quite a few times when my kids have had questions pop up. Its not a regular dictionary, its broken up into sections; Number, Shapes, Algebra, etc. and full of diagrams and pictures. I’ve found it very useful, especially as we get into high school math. The Book of Perfectly Perilous Math: 24 Death Defying Challenges for Young Mathematicians by Sean Connolly. This is another math book full of fun problems. The first problem is the pit and the pendulum. You’re given how long it takes the pendulum with blade to swish across your body, coming down an inch with each swish, and have to figure out if the rat is going to gnaw through the rope before the blade gets to you. These aren’t simple plug and chug problems and detailed solutions are given for each one. There are pages in the book for kids to work on the problems as well, though I find working on scrap paper easier since the book doesn’t open flat very easily. Grades 5-8. 25 Super Cool Math Board Games: Easy-to-Play Reproducible Games that Teach Essential Math Skills, Grades 3-6 by Lorraine Hopping Egan. The kids got this book as a gift from a grandparent and it was a big hit. I actually lent this book out so I don’t have it with me but I know we used quite a few of the games. Grades 3-6. Finding the right math curriculum for your student is one of the hardest things about homeschooling. The worst part is that after years of trial and error, you finally think you have it all figured out, your oldest child is plugging away happily with his math, so you dig out the same books for the younger child, because you know they work and guess what…. NOPE! What works for the first child, does not necessarily work for the second. I’m still trying to find the right math for my younger kid….argggghhh. So we’ve gone through a lot of math curriculum and I thought I would share what I’ve found. All of these are secular! Miquon Math Lab materials are geared for 1st to 3rd grade. There are 6 thin workbooks and each one covers a wide range of topics – which is the main reason I like this curriculum. There’s no chance of your student (or you for that matter) getting bored of a topic. Miquon introduces a wide range of activities in the first book and builds on them in each book. A scope and sequence chart here, let’s you see a list of activities and the variety in each book. I also like that each page only has a hand full of problems, not 20 or 30 like some math books – there’s no need to make math tedious and painful! 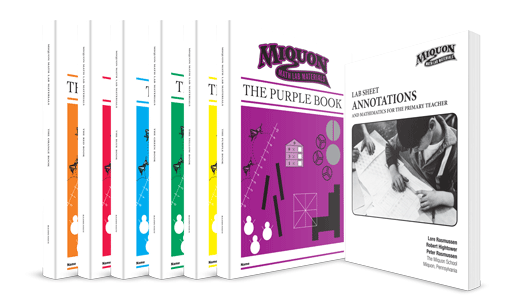 This curriculum is fairly cheap compared to most math curriculum, you can buy the whole set of 6 books and the annotations (which explains how to use the sheets) for $60 and that covers 3 years of math!! You can also buy them as ebooks at Currclick, which is useful if you have more than one kid since you can print out 2 copies of each worksheet. This curriculum actually did work for both my boys and I highly recommend it. 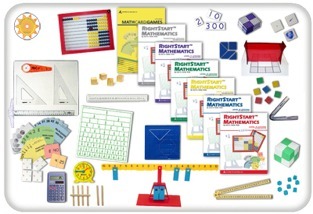 RightStart Math (2nd-6th) is what I used for my older son. It worked great for him and I actually learned some neat tricks and proofs of things I had only memorized. Unfortunately, it didn’t really work for my younger son, who can do math, but doesn’t want to…..grrrr. I believe we started with RightStart B and my older son went all the way through to their Level G: Geometry. We were both really happy with these books and disappointed when we ran out of them. It took us over a year of trying different things to finally settle on the Art of Problem Solving and he’s been doing those books ever since. I am going to try the RightStart Geometry book with my younger son because its mostly drawing – using a T-square and triangles and I think he’l like that. My older son really got into the drawings and I would tell him, he’d done enough, but he would want to do all the drawings in the lesson – this says a lot about the curriculum. I’ve only used the 1st edition, but they have updated Levels A-C and D is expected out any day. This curriculum uses a lot of manipulatives which are definitely worth buying and help get the ideas across to the student (and teacher!). This curriculum is not cheap but I highly recommend giving it a try. We used it for 2nd – 6th grade. We tried their recommendation for VideoText Interactive Algebra and absolutely HATED IT! I can’t even begin to tell you how much we both disliked this ridiculously expensive program. I returned it after a month and got my money back. The videos were awful and very slow, I would play them at 4x speed and do the talking to get through the lesson faster. Math-Whizz (K-8) When RightStart Math didn’t work for my younger son we gave Math-Whizz a try and it was a huge success. He blasted through 6 months of lessons in a few weeks!! But then it suddenly got too hard, so he stopped. After a few months he’d try again (at my insistence!) and go through another clump of lessons, raising his ‘Math Age’ as the program calls it, considerably. Its been a few years since we used this program so this may have changed, but as kids did more lessons they earned points to buy things for their ‘room’. They could decorate this virtual space, buy pets and then of course they have to buy pet food. If they don’t buy pet food the pet runs away. So its got some incentives for the younger kids to finish more lessons. I do remember my son getting frustrated when the answer had to be typed in just right or it was wrong, when it would certainly have been graded right by a real person, hopefully this has been fixed. They offer free trials and Homeschool Buyers Co-op usually has a deal for this program. I would recommend doing the free trial if you’ve got a younger student. 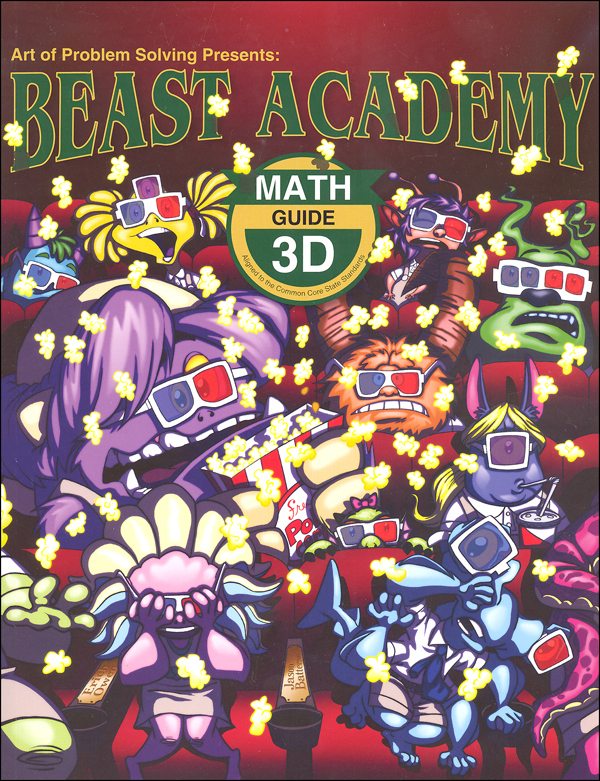 Beast Academy (3rd-5th grade) is a relatively new curriculum put out by the same people who do the Art of Problem Solving and I think its very clever. It has a lot of topics you don’t generally find in elementary math curriculum, which makes it more interesting for the kids. These books come in sets of 2, a Guide book which looks like a comic book with monsters learning the math and then a practice book with exercises, puzzles and games for the student. There are four sets of books for each year and so far they only 3A-D and 4A-D available. My younger son did the 3’s and 4A when he was in 5th grade so don’t think just because it says 3, its 3rd grade only. These teach critical thinking as well as math and can be a nice break from traditional math curriculum for a kid struggling or putting up a fight about math. You can look at their website to see the topics covered in each book and choose the ones you want to do. 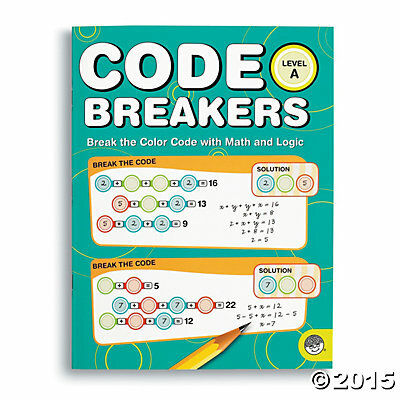 Code Breakers are a fun way to introduce algebra to your students. My older son would always choose these books first out of his pile of school work. Unfortunately, it looks like they stopped making them, which really surprises me. It says they are no longer available on the Mindware site. That’s a shame, maybe they’re coming out with a new version?? I thought these were brilliant. My kid didn’t even realize he was doing algebra because it was just a fun puzzle. It looks like Balance Benders by Critical Thinking might be similar to these. Mind Benders (preK-12+) is set of puzzle books from the Critical Thinking Co. that teaches logic. This is another book my kids would pick first out of a pile of school work. It looks like they’ve been updated since I bought our set. They have books from preK to12+ and some are available as ebooks. I would stay away from the software downloads, we tried one of those once and it was really clunky, never even used it, it was so bad. Hopefully they’ve improved, but I’ll stick to the books. Mathematical Reasoning (toddler – 9th grade) by The Critical Thinking Co. was something I tried last year with my younger son. He was using the Aleks online math program as his main math curriculum, but to be honest he was probably only logging in 2 or 3 times a month. So we would alternate Aleks (see below) and this Mathematical Reasoning Level G (6th grade) through the year. We still didn’t do much math, but whenever he takes the standardized tests at the charter school he does really well, so I figure why torture the kid by making him do more. We’re not going through this book page by page, but flipping through and picking topics to cover. The problems vary and are more realistic than some math books and it has some puzzles from the Critical Thinking Co.’s other books like Balance Benders. It cost about $43 regularly, but they frequently have sales, so its possible to get a deal. I think its a decent book if you’re just looking to get some math done, or need samples to turn in to the charter, but I’m not all excited about it, kind of lukewarm, so not sure if I’l buy another or not, still looking for the perfect math book for kid number 2! Aleks (3-12) online math program. My younger son had this for 2 years and he would use it for awhile and then get bored and not touch it for a month. So it went in fits and starts. He made progress but it didn’t keep his attention. You can choose which lessons you want to do, and as you complete them, more options open up. But there are times when the only options left are ones the kids really doesn’t want to do, like long division, so he just avoids the program altogether. I just went to the website and it looks likes its been redesigned. One of the reason we tried Aleks is because I was so frustrated with trying to teach my younger son math. I knew he could do it, but he just didn’t want to, so I figured maybe it would go smoother if I was out of the picture. We may actually go back to Aleks after geometry, because it did work and it allowed him to work independently. They have free trials programs and the Homeschool Buyers Co-op frequently has deals for Aleks. Teaching Textbooks (3-12)– we tried this VERY briefly when I was able to purchase a used copy. It didn’t work at all. It may have been that he needed a higher level, but it just seemed silly to both of us, so we passed it on to another homeschooler. Art of Problem Solving (6th-12th grade) is a good math curriculum for kids who can sit down and read through a lesson themselves. 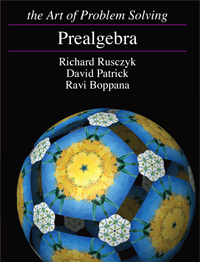 My older son who prefers to do math and science than any other subject has used their Pre-Algebra, Algebra and Geometry text. These are very challenging math books and while they work well for kids interested in math, I don’t think they would work for students struggling in math. They do have videos for some of their books on their website and they also offer online courses but we haven’t used them. So to sum it up, my science and math loving kid did really well with Miquon, RightStart and Art of Problem Solving, while my art and music kid preferred Miquon, Math-Whizz, Aleks and Beast Academy. Hope this helps you in your own quest for math curriculum.